Pack of 20 Arming Points for lacing plate armor to your arming clothes. 5mm dia. 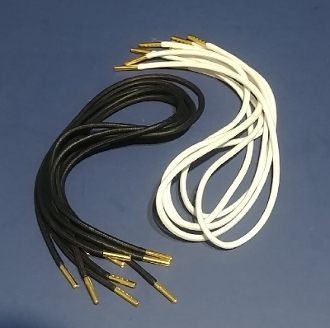 cotton points with Brass Aglets, 24" long.